> Beauty and Personal Hygiene>Care for dental health . From Salutem Shop we offer a wide range of products indicated for the care of your dental health. From SalutemShop we offer a wide range of products suitable for the care of your dental health. Chlorhexidine toothpaste , sensitive toothpaste , fluoride toothpastes , whitening toothpaste , pasta for healthy teeth , children's toothpaste , mouthwash with chlorhexidine mouthwash for sensitive teeth, whitening mouthwash , halitosis products , denture adhesive creams , products for cleaning dentures, toothbrushes, interdental brushes , waxes orthodontics , dental floss . Buying tooth health products and buying tooth care products are good ways to have better dental health. You can obtain these products from our online pharmacy. Gums Bexident Triclosan Mouthwash 250ml.The Bexident Gum Mouthwash is a product of daily use for the care and treatment of the gums. 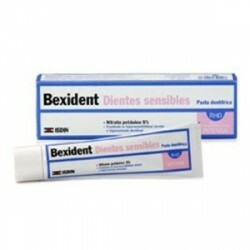 Bexident Healthy Toothpaste 125ml.. Anticavity Toothpaste, plaque and remineralizing. 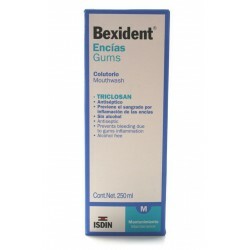 Triclosan Bexident Gums Toothpaste 75ml. Triclosan Bexident Gums Toothpaste 75ml.Toothpaste with triclosan and sodium fluoride to prevent plaque and tooth decay. Protects gums. Gums with chlorhexidine mouthwash. Bexident. Gums with chlorhexidine mouthwash. Bexident. The gums with Chlorhexidine Mouthwash Bexident is a mouthwash for gum care, characterized by containing in its formula the 0.12% chlorhexidine compound is a useful antiseptic agent in the treatment of gingivitis. 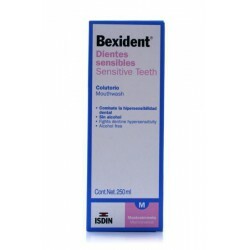 Bexident Sensitive Toothpaste 75ml ISDIN Bexident sensitive teeth is an everyday toothpaste to fight tooth hypersensitivity. 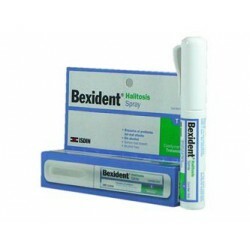 Halitosis Bexident Spray 10ml. Isdin. 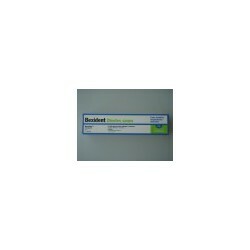 Halitosis Bexident Spray 10ml. Isdin.Treatment to eliminate halitosis (bad breath).For fresh breath and long lasting. 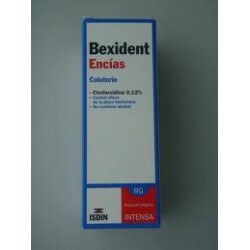 Bexident Gums Gingival Gel Chlorhexidine. Prevention and adjunct in the treatment of gingivitis. Maintenance preimplantario periodontal treatment. 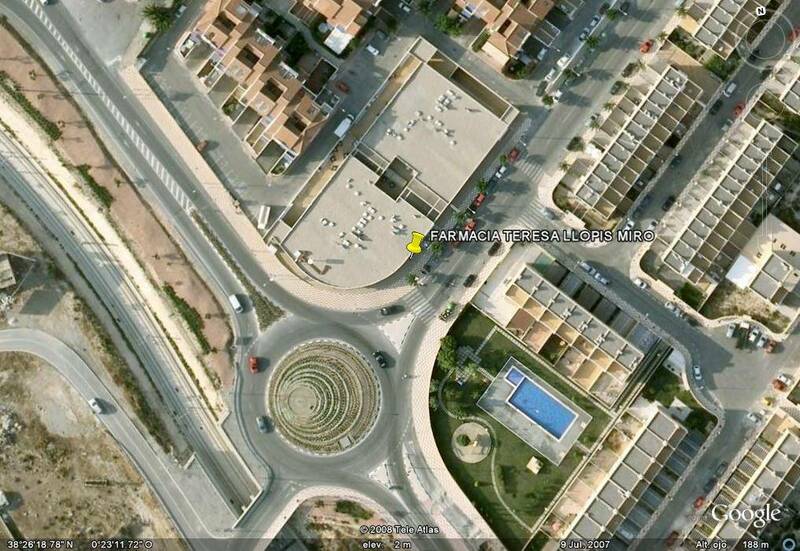 in periodontal and maxillofacial surgery. Helping in dental prophylaxis irradiated patients. 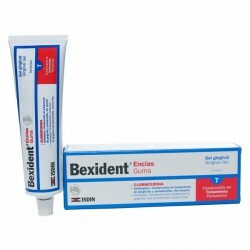 Bexident Oral Gel for thrush. 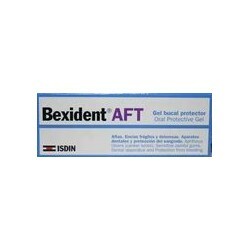 Bexident AFT is indicated for the treatment of canker and fragile and painful gums, and in the case of use of dentures and to prevent bleeding gums. 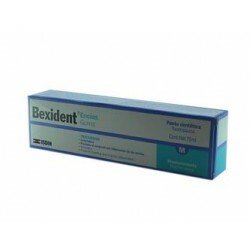 Bexident Sensitive Teeth Mouthwash 250ml. Mouthwash after brushing. 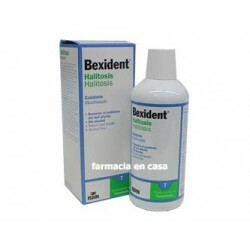 Bexident Halitosis Mouthwash 500ml. Fighting the bacteria that cause bad breath, strengthens action anti-halitosis, neutralizing odor components, relieves symptoms of dry mouth and promotes the formation of saliva. Dentaforce Echinacea. A.Vogel. Echinacea toothpaste based on plant extracts Fresh and essential oils. Deep cleans without damage tooth enamel. 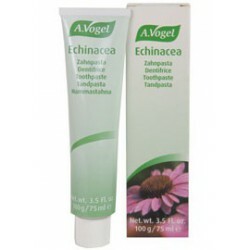 Echinacea Toothpaste provides a pleasant freshness. Lacer Toothpaste 125 ml + Brush Travel. Lacer Toothpaste 125 ml + Brush Travel. 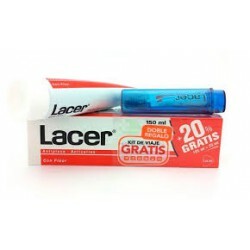 Lacer Toothpaste 125 ml for the prevention of cavities, plaque action and protective effect and epitelizante on gums. Cleans, deodorizes and refreshes the mouth. No danger of intolerances or allergies. Suitable for ages 12 years and adults.